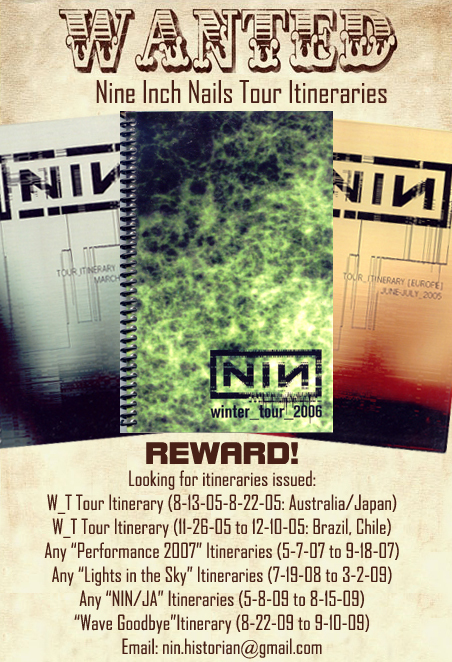 Please Email the NIN Historian if you have any of the items below to sell! INTERESTED IN CREW SHIRTS OR RECORD LABEL TYPE SHIRTS ONLY. Looking for Original Art By the Original Artists.